John Domingo raised horses on his ranch near Providence until 1918, when he sold his holdings. The ranch soon came under control of the partnership of J. N. Sanders and W. W. "Wash" Gibson, who stocked the ranch with cattle and called it the 7IL. Sanders and Gibson hired Frank Murphy, a homesteader from the Lanfair area, to direct the day-to-day operations in the early 1920s. A massive drought in the late 1920s, culminating in 1928, contributed to changes on the Mojave range. The Rock Springs Land & Cattle Company dissolved under the pressure. Most of the cattle had perished on the range, but the remainder were rounded up and sold in urban markets. In September 1928, the northern part of the Rock Springs range was sold to Bessie Yates and "Boy" Williams. The Rock Springs lands in Nevada were given to long-time ranch superintendent John Woolf, who promptly sold the property to Hollywood western movie star Rex Bell, who together with his wife Clara Bow, lived and worked on the ranch they called the Walking Box. In September 1931, the remainder of the Rock Springs Land & Cattle Company's holdings were sold to a group headed by Claud Halsell, Sr., who took complete control within a year of the ranch they called the OX. Additionally, Gibson and Sanders sold the 7IL Ranch to Mark and Mary Pettit in 1929. During the years from the 1940s to the passage of the California Desert Protection Act in 1994, ranching in the area evolved, but remained rooted in old-fashioned methods that worked better on the tough range than modern agribusiness techniques. "Slim" Skinner and his father-in-law, Fred Twisselman, bought the Valley View from Bessie Yates in 1940. Unlike many of the "cow and calf" operations in the desert, such as the OX and Kessler Springs ranches, the Valley View was worked as a steer operation, involving greater risk, but potentially greater profit. Skinner retired in the early 1980s and sold the ranch to Andy Anderson of Montana. In 1960 the Murphy brothers sold the 7IL ranch to their nephews, Howard and Jerry Blair, the descendants of whom still own and operate the ranch. "Boy" Williams sold the Kessler Springs Ranch in 1942, and it passed through the hands of several often-absentee owners until it fell under control of part-owner Gary Overson in 1969. 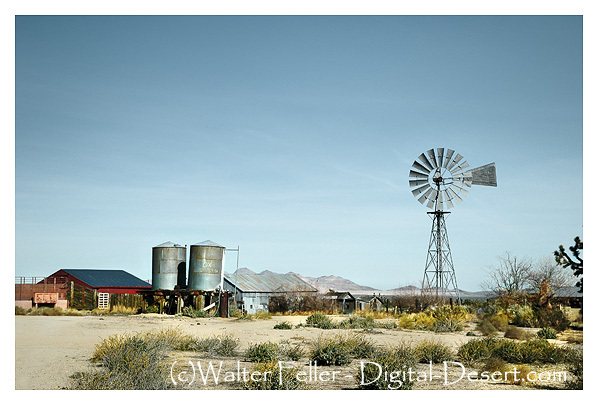 Overson was raised in the east Mojave, first working for the OX Ranch at eleven years of age. Through hard work and a shrewd sense for expansion, he bought out his partners at Kessler Springs within a decade. The lands of the east Mojave have been subject to ranching for profit for more than 125 years, and in that time have indelibly changed. The key to ranching in the Mojave is water, and commercial ranches have developed extensive water systems which are also used by wildlife. Though no definitive data exists, the numbers of both native and non-native species may have been enhanced by the long-term availability of these water sources, making it difficult to discover what pre-ranching levels of wildlife were like. In the same way, long-term ranching has quite possibly been responsible for the creation of some of the Preserve's most magnificent landscapes, the Joshua tree forests of Cima Dome and Lanfair Valley. 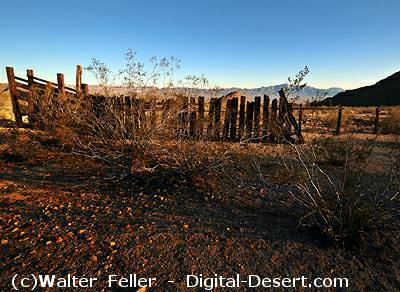 Biologist Harold Avery noted that cattle grazing in the Mojave had the effect of increasing the number of shrubs, and biologist Steve Brittingham noted that shrubs provide microclimates that nurture the development of Joshua trees. Jim Cornett, a biologist with the San Bernardino County Museum, also explained the connection between cattle grazing and increased Joshua tree density as a product of the shelter that unpalatable shrubs give to the infant trees. An analogy, focused on the role of subtle human effects in producing landscapes that are seemingly "natural," can be drawn between Mojave's Joshua tree forests and the forests of giant sequoias in Sequoia National Park, where researchers in the 1970s realized that the huge trees were largely the product of the Native American practice of setting deliberate fires. Both the sequoias and Mojave's Joshua tree forests are beautiful attractions, seemingly natural, that were in reality partially formed by human actions over a long period of time. In the cultural history of the eastern Mojave and in the landscape itself, the continuous presence of cattle grazing in Mojave National Preserve has left an important legacy.